Indonesian crew members of the UK-registered ship detained in West Cork last week walked off the vessel last night and sought to be put up by Irish officials to enable them to plan for a journey home. Earlier, Britain’s Marine and Coastguard Agency (MCA) confirmed that its inspector had examined the trawler Christian M, which had been detained by Irish authorities for a number of issues including a significant cockroach infestation and crewing issues. “A surveyor from the Maritime and Coastguard Agency has been on board the 100ft vessel and conducted a thorough inspection of the vessel,” an MCA spokeswoman said. “It has been fumigated twice and is now free from infestations. “There remain a number of outstanding issues that mean the vessel will continue to be detained, including the condition of the accommodation and training. Earlier this week, the vessel, mainly crewed by Indonesian fisherman, was towed into Castletownbere after it broke down on Wednesday week last. 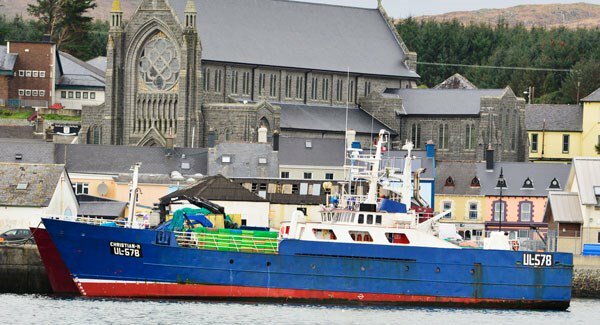 The trawler was subjected to an inspection by the Irish Marine Survey Office (MSO) which found deficiencies and decided to detain the vessel in the Beara peninsula port eight days ago. MSO said follow-up action was “for the owner and the UK as the flag state for the vessel to rectify and ensure the rectification of the deficiencies”. “When it is rectified we will then re-inspect the vessel,” the MSO added. 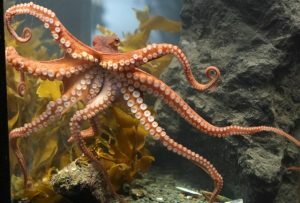 The crew remained onboard until yesterday afternoon, in the Department of the Marine-run State fishery harbour. At that point, they were visited by both an official from the Indonesian embassy and Ken Fleming, a coordinator with the International Transport Workers Federation (ITF). Gardaí also visited the ship. Mr. Fleming spoke to the 13 Indonesian crew with the assistance of the embassy official and they told him they wished to go home. With the assistance of gardaí, they left the boat to travel to accommodation in Dublin yesterday evening. Mr. Fleming said he would be demanding that the vessel’s owners paid any outstanding monies owed to the fishermen as well as the cost of airfares to get them back to their home country. He also plans to seek the repayment of any monies paid to agents by the men for their jobs. The ITF coordinator for Britain and Ireland said it was his understanding that three senior Spanish crew members would be staying onboard. The ship is likely to remain in Irish waters until a new crew is brought in and the detention by Irish authorities is lifted. Mr. Fleming criticized the living conditions on the Christian M.
He also thanked gardaí for the assistance they provided to the crew members.